Living… in his dream house. 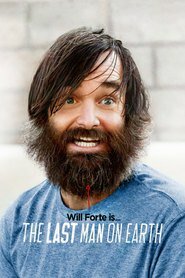 A virus has wiped out seemingly all of humanity, and after a two-year Winnebago tour of America, Phil deems himself the “last man on earth.” After living in an unglamorous studio apartment in “the old world,” Phil upgraded to a McMansion in his hometown of Tucson, AZ, and pimps it out with all sorts of perverse luxuries. Alas, he’s too depressed to ever clean it up. One day, while attempting to kill himself out of loneliness, he meets another person(!). In fact, it’s a woman, Carol Pilbasian. That discovery helps renew Phil’s lease on life. Profession… professional hoarder. Phil’s house is overflowing with all the things he accumulated over two years of travel, and he refuses to dispose of any of it. You name it, he’s got it – Monet canvases, nudie mags, Hugh Hefner’s pajamas, the Presidential rug from the White House… In fact, if you asked Phil what his job is, he would tell you “President of the United States.” Yes, he appointed himself – but who cares how he got into office? Interests… sitting on the throne/diving board of his backyard toilet pool; lounging in a kiddie pool full of margarita mix; and donning a suit of armor and standing in front of a live tennis-ball machine. Relationship Status… single. Phil wants to repopulate the Earth as much as the next guy. But Carol insists on getting married before they conceive a child, and that really cramps his style. When a third human being shows up – a beautiful woman named Melissa Shart – he immediately attempts to ditch Carol for greener pastures. Challenge… dealing with crippling loneliness as one of the last people on the planet. Phil may be horny and shallow and he may like to keep a wide berth, but he really does crave companionship. That’s why he you’ll often find him down at the local watering hole talking to a bunch of sports balls with Sharpied-on smiley faces (Gary, the volleyball, is his BFF). They understand him. Personality… manipulative, selfish, and passive-aggressive. Phil is not a people person. Instead, he is a pathological liar who others have a hard time trusting. He thinks only of himself and his carnal desires. He has no concept of delayed gratification, even when it comes to his health. His prescription for when he bangs his skill and there’s a “concush brewin’”: “go lay down and sleep it off.” The human race seems to be in big trouble with Phil as the only male left, but hopefully he can rise to the occasion. Phil Miller 's popularity ranking on CharacTour is #2481 out of 5,000+ characters. See our top-ranked characters and read their profiles.